EuroBasket 2015 was the 39th annual edition of the EuroBasket championship that is organised by FIBA Europe. 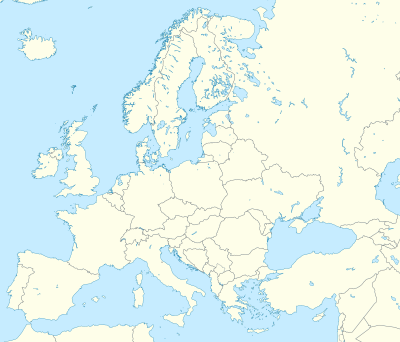 It took place in four different countries (Croatia, France, Germany, and Latvia), making it the first EuroBasket held in more than one country. It started on 5 September and ended on 20 September. Spain won their third title by defeating Lithuania 80–63 in the final. France won bronze on home soil defeating Serbia (81–68). The final game was held in the Stade Pierre-Mauroy and set a new record for the highest attendance in a EuroBasket game, with 26,922. Pau Gasol was named the tournament's MVP. All interested federations were provided the option to bid to stage either one of the four groups in the Group Phase of the tournament, one of the groups and the Final Phase, only the finals, or the entire tournament. FIBA Europe was scheduled to officially announce the details of the bids after 27 August 2014. Croatia, France, Poland and Turkey bid to host one of the four groups in the Group Phase and the Final Phase in the knock-out round. Additionally, Turkey also bid to host the Final Phase only. Qualification for the tournament took place in two phases; the first featured 13 teams who failed to qualify for FIBA EuroBasket 2013, the winner of which qualifying directly for the finals. The remaining teams then went into qualification with the remaining FIBA Europe sides. FIBA Europe released the seedings for the EuroBasket 2015 draw on 27 November 2014. According to the FIBA Europe regulations the participating nations, the 10 participants of the 2014 World Cup would be seeded first, based on their respective records in FIBA EuroBasket 2013, with the remaining teams seeded based on their qualification records. Publicity onto the North Regional Council in Lille. The four hosts were drawn together, but as Latvia were amongst the third seeded teams and Germany the fifth, only three teams would be in fourth and sixth pot containing the remaining seeds and these teams could not be drawn into groups with Latvia and Germany respectively. France and Croatia, as hosts, were drawn first and the two remaining first seeds, Spain and Lithuania, were drawn separately into the remaining two groups not already with a top-seeded team. ^a Assigned to Group A, for its partnership with France. ^b Assigned to Group B, for its partnership with Germany. ^c Assigned to Group C, for its partnership with Croatia. ^d Assigned to Group D, for its partnership with Latvia. The best four teams of each group advance to the knockout stage. Italy and Germany during the national anthems. The winners of the 5–8th place semifinals advanced to the qualification tournament. The 5–8th place semifinals losers played in the seventh place game to determine the last participant. Official final ranking by FIBA Europe. ^ If the tournament is hosted by a team that has already qualified, the next-best team from the host country's federation will also qualify. ^ a b "Spain Claim Gold In Front Of Record Audience". eurobasket2015.org. 20 September 2015. ^ "France Reward Home Support With Bronze". eurobasket2015.org. 20 September 2015. ^ "Attendance Record Falls Again - EuroBasket (2015) - FIBA Europe". www.fibaeurope.com. Retrieved 23 July 2018. ^ a b "EuroBasket 2015 Hosts Announced". FIBA Europe. 8 September 2014. Retrieved 21 September 2014. ^ FIBA Europe.com (1 September 2013). "Estonia book flight to Ukraine". Retrieved 2 September 2013. ^ a b "EuroBasket Draw Seedings Announced". fibaeurope.com. 27 November 2014. ^ "Disneyland Paris To Host EuroBasket Draw". fibaeurope.com. 29 October 2014. ^ "EuroBasket 2015 Draw Completed". fibaeurope.com. 8 December 2014. ^ "Eurobasket 2015 Draw: How will it work". fibaeurope.com. 7 December 2014. ^ "2015 EuroBasket Official Draw". Wikimedia Commons has media related to Eurobasket 2015.